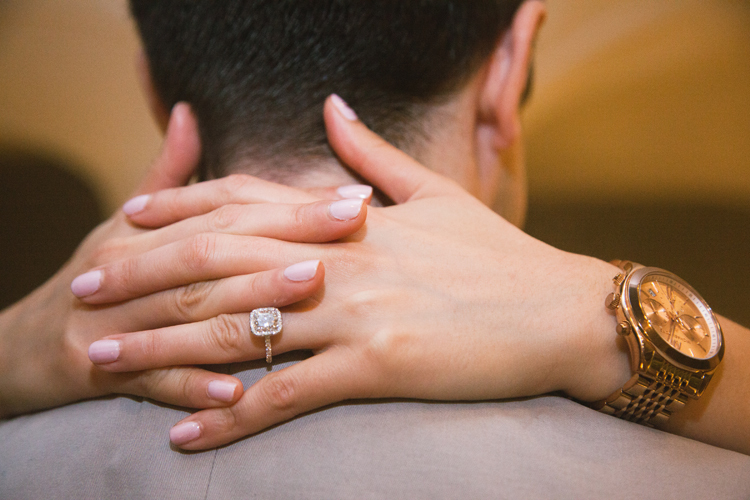 I always get so excited when I’m asked to photograph marriage proposals. I love planning and it’s really thrilling to put together a great surprise! 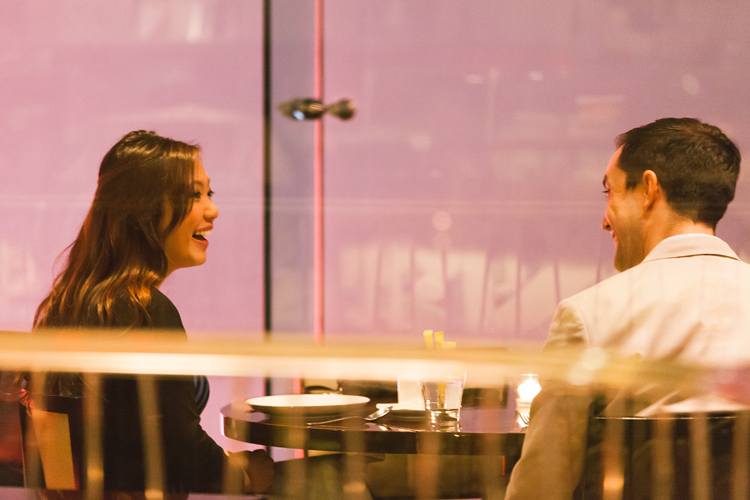 It feels especially great to witness a couple in love step into another phase in their lives, and this proposal from Matt to Tiffany was a perfect example. Matt and Tiffany traveled from the US to Hong Kong, mainly for Matt to do some business here and in mainland China. 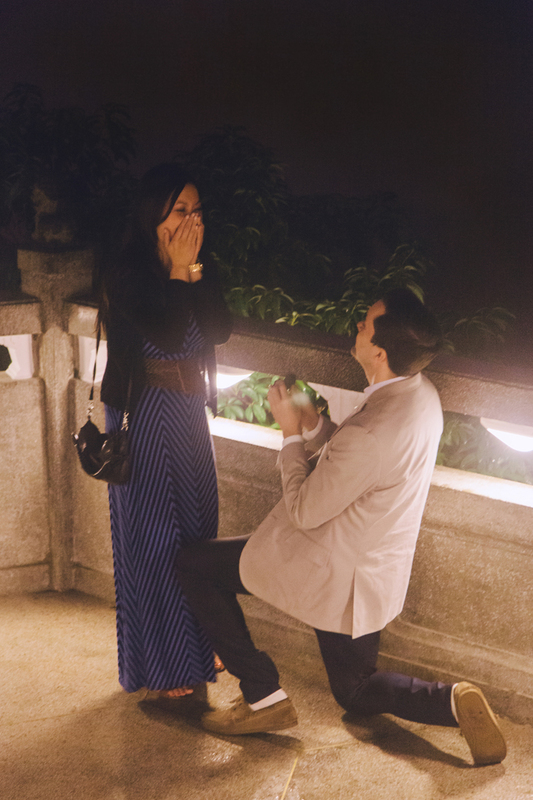 He had emailed me prior to their trip and I also met with him after their arrival to plan the details for the proposal. There was a risk of Tiffany finding out as she wanted to join our coffee meeting, but luckily she didn’t tag along in the end! First, they went to Cafe Deco at the Peak for dessert with a view. 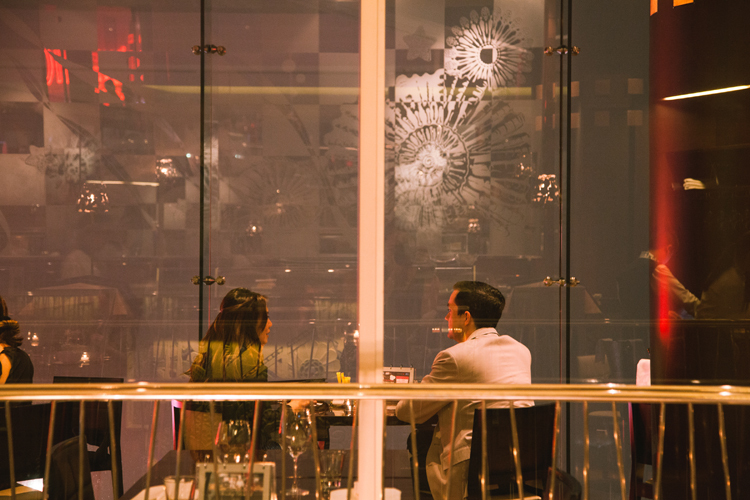 Inside the unique art deco style restaurant, I snuck around with my 70-200mm zoom lens sneaking photos of the couple. I love the candid moments of them laughing together, inside their own world. 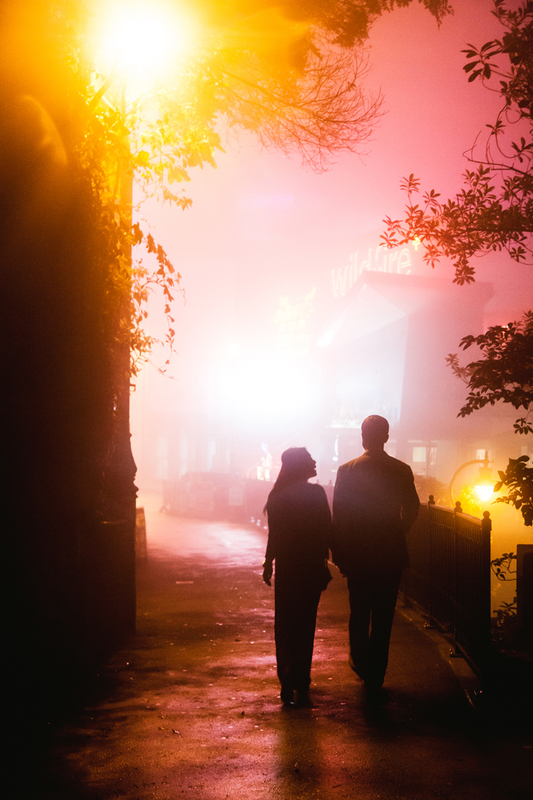 The weather turned out to be really foggy, and soon after Matt and Tiffany ordered their food and drinks, the view of Victoria Harbour was obstructed by a thick layer of clouds and mist. 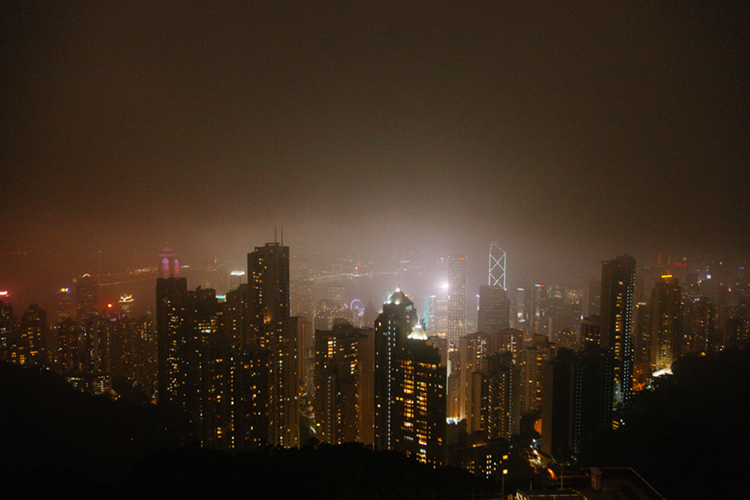 Though we didn’t get a clear view of the Hong Kong skyline, there was a beautiful mysterious and romantic mood being up at the peak surrounded by clouds. The usually packed tourist areas also were deserted because of this turn of weather. As a photographer, I try to find angles where the focus could be more on the couple and their facial expressions, so having an empty (though foggy) location worked to our advantage. I followed the couple out of the restaurant to our planned spot, a large pagoda on Findlay Road just seconds away from the Peak Tram station. 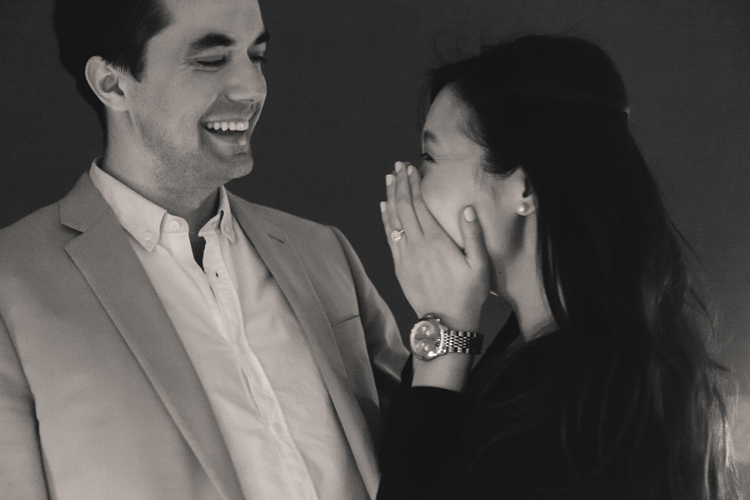 Tiffany was utterly surprised when Matt got on his knees and popped the question! 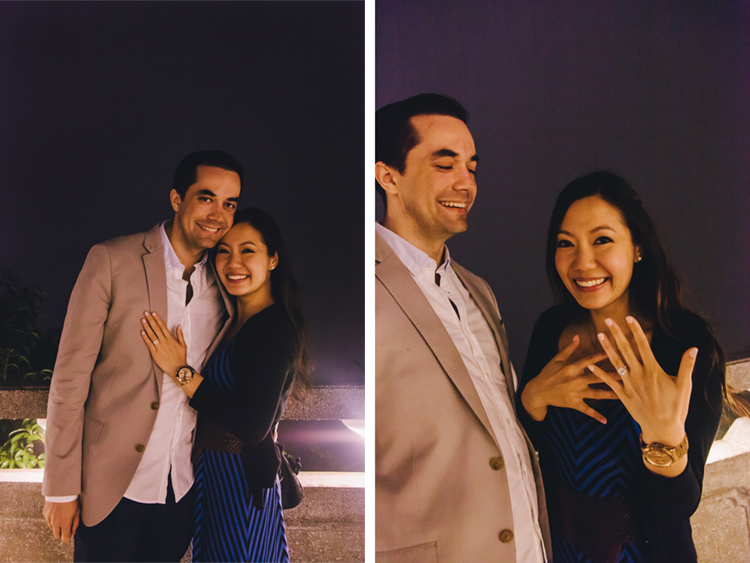 Congratulations to Tiffany and Matt! The Peak was the perfect location for a surprise proposal, and I’m so honored I had a chance to be the photographer. Come visit Hong Kong again! Enjoy and relax – it’s easy to get nervous, but you’d look tense on camera… and your plans may get found out!